Metric Fine Class 8.8 High Tensile Hex Head Bolts only (Standard Head Size) are supplied with a standard flat washer up to and including M10 diameter and M12 and over are supplied with a high tensile flat washer. Included washers are supplied at no extra cost. Metric Fine Class 8.8 High Tensile Hex Head Bolts only (standard head size) are supplied with a standard flat washer up to and including M10 diameter and M12 and over are supplied with a high tensile flat washer. The included washers are supplied at no extra cost. Supacheap Bolts Hexagon Head Class 8.8 High Tensile bolts are manufactured to DIN Standard 960 and our bright zinc plated finish offers corrosion protection, suitable for general purpose internal and external higher strength bolting applications. Supacheap Bolts currently stock M6, M8, M10, M12, M14, M16 and M20 diameter bolts up to 200mm in length for certain diameters. Please note : Our Image is of a generic standard bolt and nut and thread lengths vary slightly per size so check with us before ordering if this dimension is of importance. 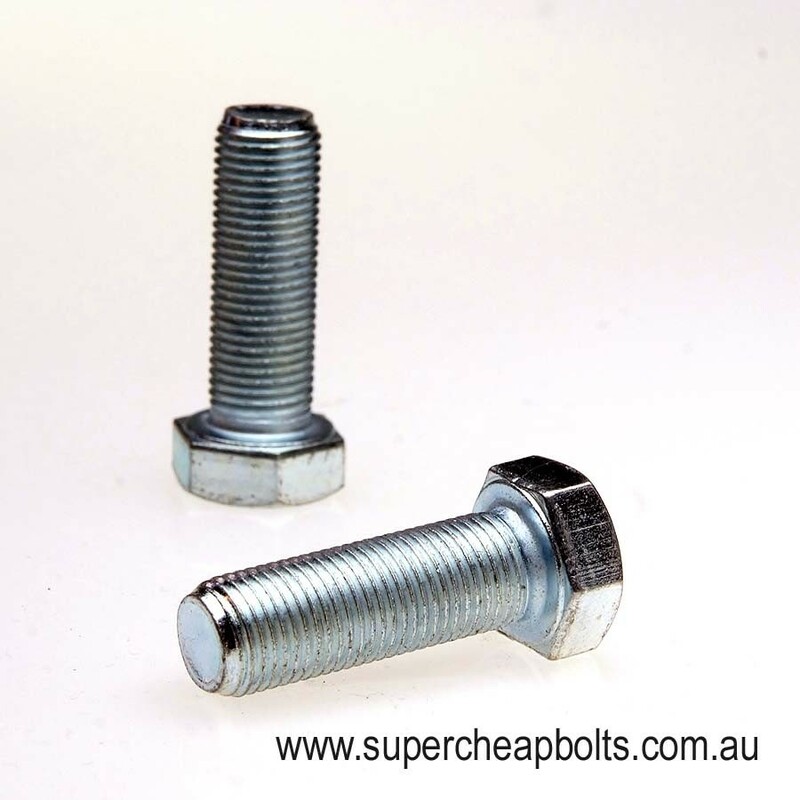 Typically, thread lengths for our hex bolts will be to the recognised Australian or International standards. All bolt lengths are measured from under the head.